When making a tool, it helps to know first hand the subtleties of how it works. In addition to working metal, George has spent years using a wide variety of hand tools. He has an working understanding of how many specific tools should perform, and how they should be shaped. 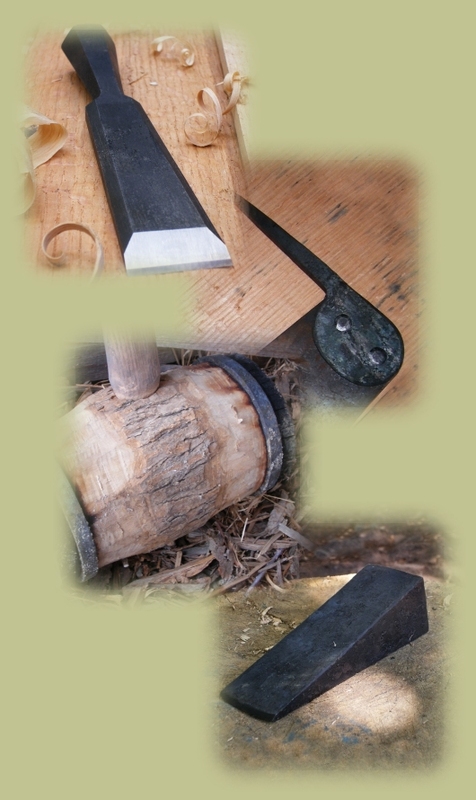 We make items ranging from splitting wedges to fine axes. There is hardly a more satisfying experience than taking a piece of raw material and forming it into a functional and well appreciated tool. Click on the images to learn more.